Your body aches. Your mind runs an endless loop of the day’s events. You toss and turn in the bed. You need sleep, but sleep is far from you. More accurately, you need your body, mind, and spirit to settle down so you can enter into sleep. You need rest on all sides. Rest to your fatigued muscles. Rest to your anxious mind. Rest to your heavy spirit. Being in a position to receive rest will not guarantee you will find it. Sometimes rest is evasive. It lingers just out of your grasp and dares you to press in. It challenges you to fight for it. When this happens, it’s easy to feel like fighting is just too much. You feel unequipped for another battle — even if the battle is for the one thing you need to keep going. You need rest to fight, yet you have to fight to rest. You can feel powerless to continue. It’s as if your brain and body have been taken over by activity, and there is little you can do to remain in control. Except that’s not actually true. You can break this cycle and find the rest you desire. 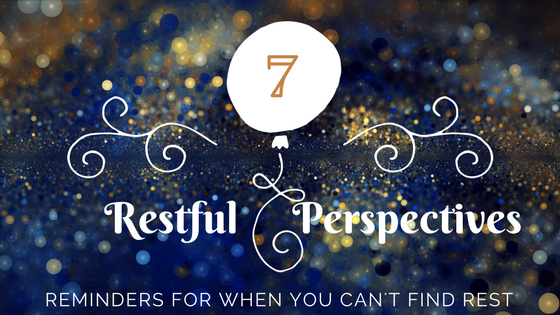 The key lies in redefining how you define rest. Like most of you, I’ve had times when I desperately needed rest but couldn’t find it in the places I was looking. I’ve camped out around my anxious thoughts and wondered why peace won’t come. I’ve judged myself as weak when my strength failed. I’ve tried to numb my feelings with anything chocolate covered. These are things I’ve done more often than I care to admit. 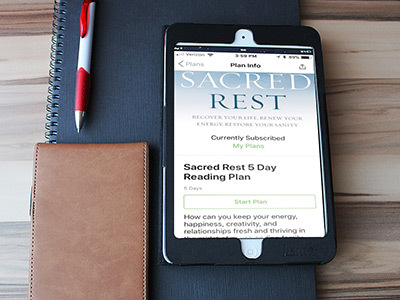 We have a lot more resources available to us than we think when it comes to entering into rest. This is what true rest does. It is a do-over. It levels the battleground and places you back into the fight ready to move forward. Rest is not just about better sleep. It leads to a better life with more enjoyment, greater contentment, and sustained satisfaction. When you can’t find rest, begin to look for it in a different way. The problem may not be that you can’t find rest. The problem may be that you’ve placed rest in a box too small to fit your life and your fatigue is demanding an expanded perspective. Rest replenishes your depleted reserves. Where do you pour out the most energy in your life? 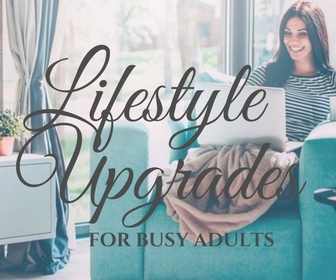 Do you spend more time engaged in mental, physical, or spiritual activities? If you are unsure, take this free quiz at RestQuiz.com to find out. Once you know where you pour out, find activities to pour back into those same areas. Rest restores you to a place of well-being. Well-being is the state of feeling comfortable, healthy, and happy. What activities cause you to feel these emotions? Determine your optimal work-rest ratio. If it’s 80-20, the 20% of your to-do list should be things that make you feel better. Your life will thrive when in a state of constant restoration. Rest regenerates your true identity. We all need time in our life to rediscover ourselves apart from the people we serve, the roles we play, and the titles we carry. In the process, our true identity breaks through and we can celebrate the person we are as well as who we are becoming. Rest remolds you during times of stillness. On the molecular level, your body undergoes nightly transformation as muscle cells, brain cells, tissue cells and nerve cells heal and strengthen. This process cannot occur during your hours of endless movement. It occurs in the waiting. In the stillness, growth happens. Rest reveals things about ourselves and that process can be messy. You may find something you didn’t expect. You may find fears you never knew you had but also the energy to confront those fears. Rest frees you to open yourself to a life that scares you, a life of purpose and adventure. Rest renews your faith in God’s ability to sustain all you hold dear. Clinging to the reins we attempt to hold on our life is exhausting work. Faith is a choice to surrender it all into God’s hands. In the release, rest can be found. Rest rebuilds the foundation of your trust in God. Trust leads to deeper rest, and deeper rest leads to greater trust. Rest and trust are woven together in the tapestry of our relationship with God. Rest fortifies your life by building your level of trust in God. 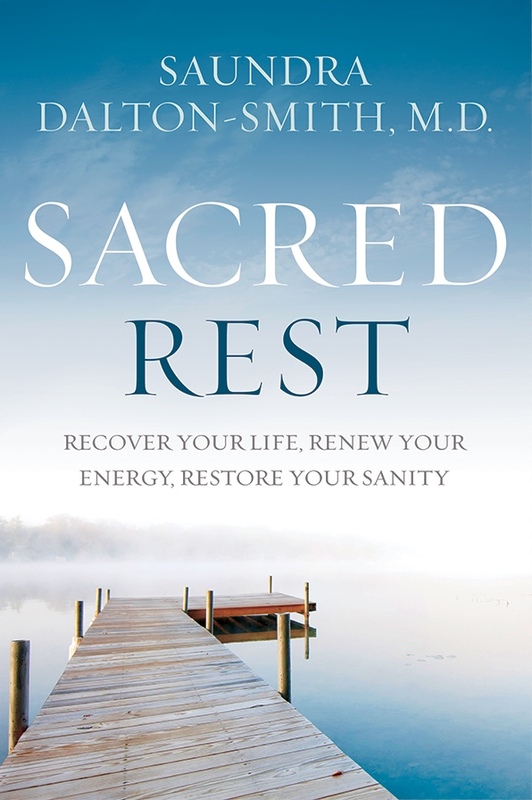 Learn more about renewing your mind, body, and spirit in my new book SACRED REST. 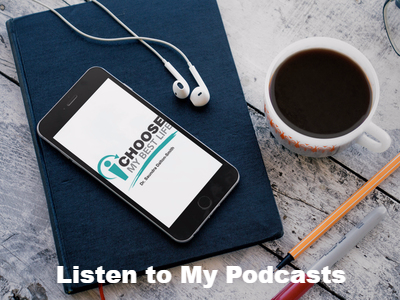 In it, I describe 7 distinct types of rest you need, discuss the resulting 12 gifts of rest, and give practical tips on how to spend more time enjoying the good in your life.